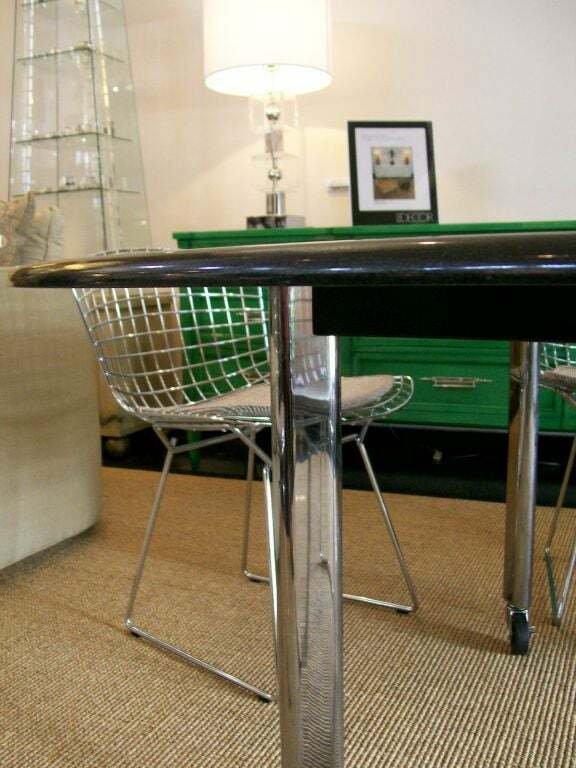 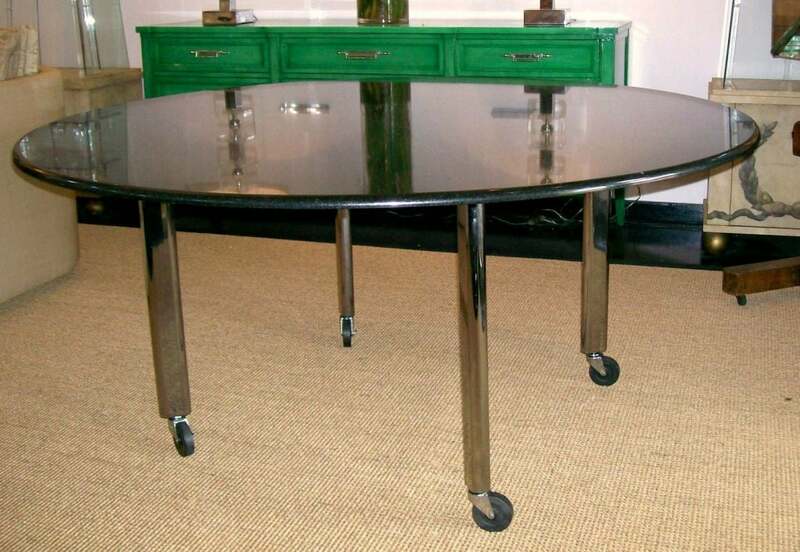 Joe D'urso polished granite table, chrome legs, on casters, for Knoll with metal label and Hand Signed by Joe D'urso. 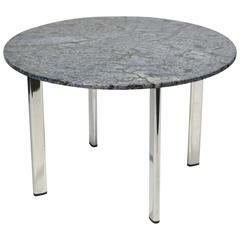 Great vintage, granite top has NO chips, wheels roll fine and chrome is in nice shape. 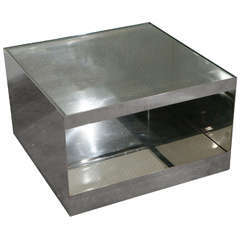 Joe D'urso polished stainless low rolling table. 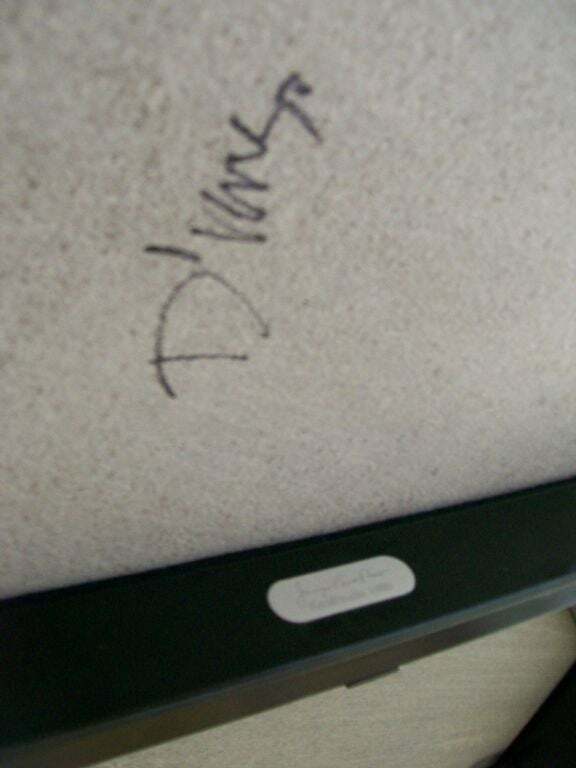 For Knoll. 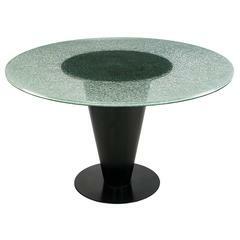 USA: Joe D'urso for Knoll, stainless steel table with safety glass, 1980s. 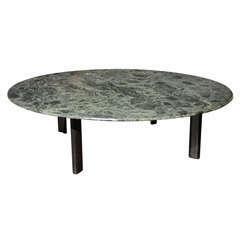 This large round table is in green marble and seems to float on its four inset black legs. 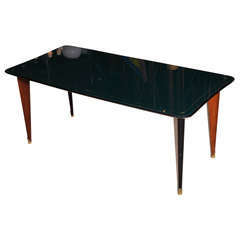 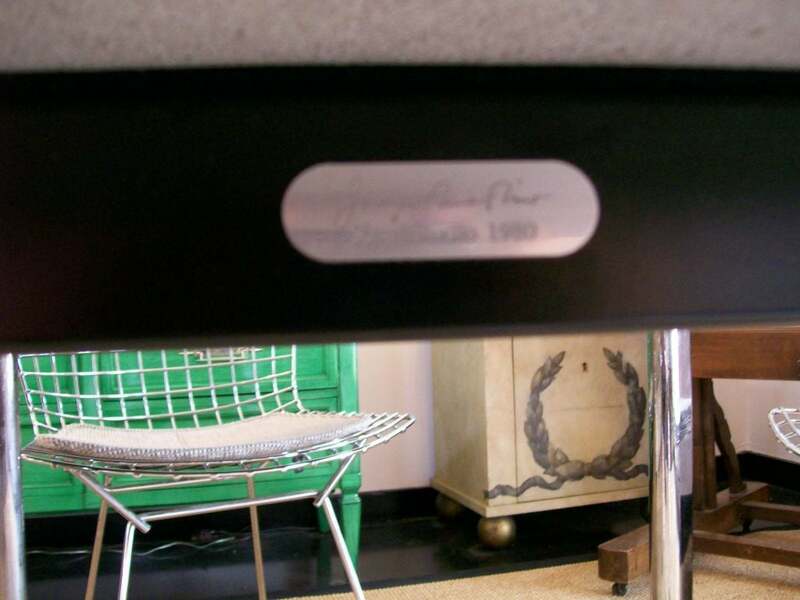 Table designed by Joe D'urso for the Knoll Studio it is labeled and all original. 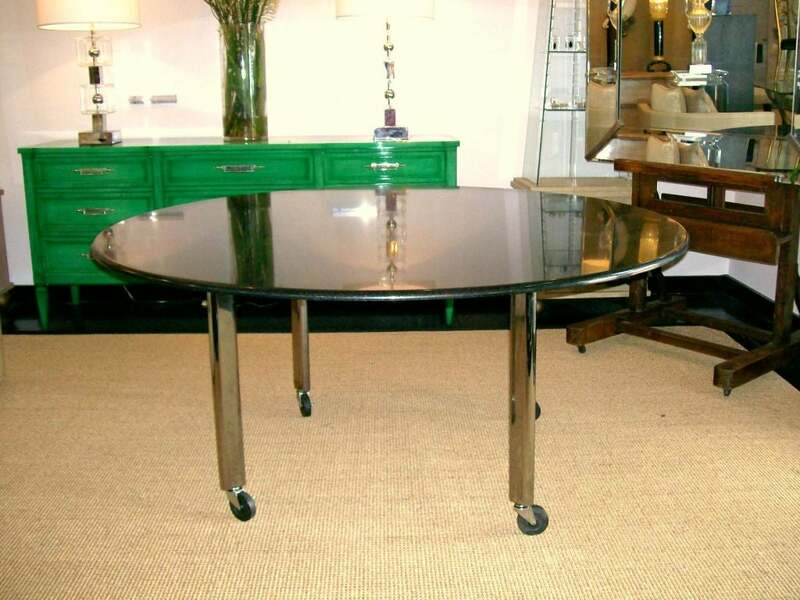 A polished stainless steel table with safety glass top on casters. 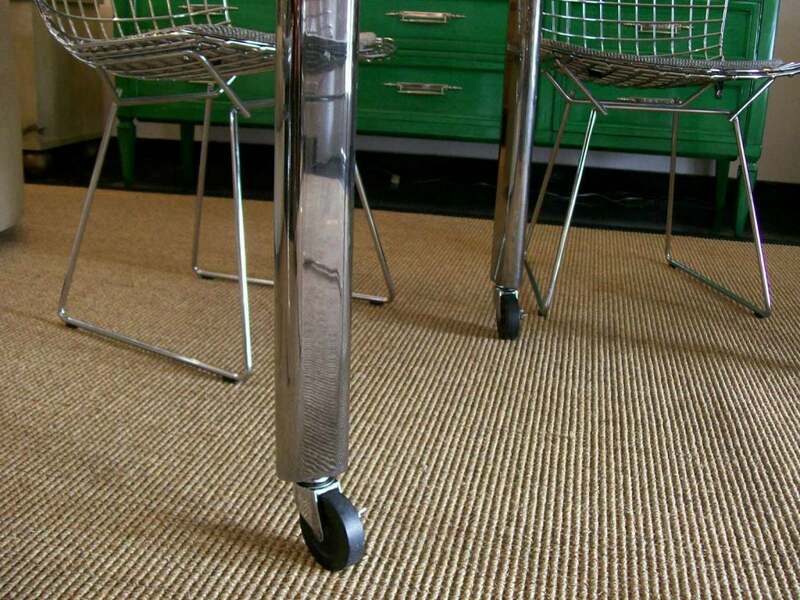 Designed by Joe D'urso for Knoll.